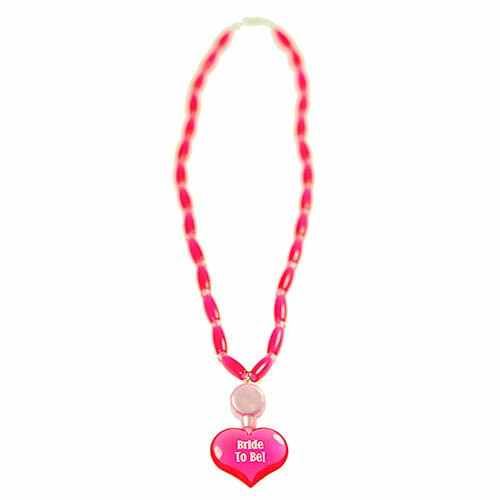 Treat the bride and make her feel special by presenting her with this fantastic pink beaded hen party necklace. With 4 delicate 'bride to be' writing designs and gorgeous pink beads of different sizes around her neck, she really will look stunning as she sparkles under the bright lights. The hen party is all about making the hen stand out from the crowd and what better way to achieve this than with some pink bling?! Not only will the hen night jewellery help decorate the bride to be, it can also be taken home and kept as a little keepsake. A fantastic gift for any bride to be. "Couple of the letters had fallen off so she had a couple of ride to be which was quite funny." "havent used yet, score just based on initial look of item." "A great product, really pleased with it." "Very nice if not trying to be too blingy. Was a good buy." "Cheap, to the point. Bride to be loved it's tackiness." "Looked good, added a nice touch to all of the bride to be's other accessories. " "Very tacky, however pink and girly for the bride-to-be!" "How cheap and tacky-yet just the job!" "Nice and tacky, perfect for the Hen." 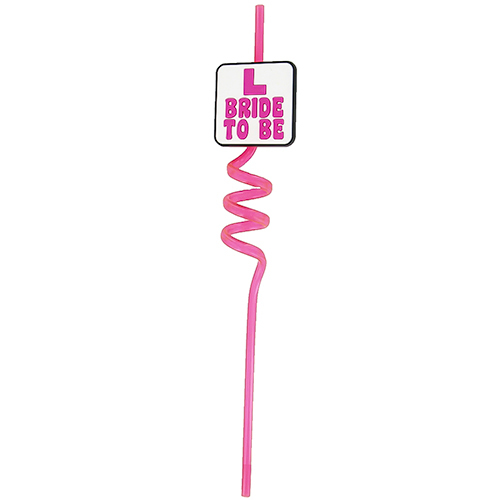 "Perfect little bag filler for the bride to be - my friend loves it!!" "every1 commented on how lovely my necklace was. Very good price too." "the bride loved this necklace, not tacky at all"